Soundproofing your walls is crucial to effectively soundproofing any room. Walls take up the most surface area in any room so there are plenty of opportunities for sound to leak through all over the place. Because of the size of your walls soundproofing them is likely to make a far more significant impact than soundproofing your doors or windows will alone. Modern internal walls are quick, cheap, easy and efficient to install. Unfortunately they are not particularly soundproof at all. The empty void inside a stud wall allows sound to echo creating a drum effect which amplifies the sound. Mass is very important for blocking sound and stud walls have very little mass, usually their mass consists 12mm of plasterboard on either side of the joists and nothing more. Solid brick walls are far better at preventing the transfer of sound but some walls are too solid for their own good, walls which have been built without a cavity in the middle will carry vibrations straight through from one side to the other. This is not great if you have a neighbour who loves loud music, loud TV, loud DIY or anything loud to be honest! Brick walls and stud walls present different challenges and there are different ways of soundproofing them. Stud walls are timber framed walls which do not bear much weight but rather divide up the space in your home. They’re quick, easy and efficient to put together however they are not good at preventing noise from travelling through your home as they are usually hollow with no insulation. There are many different methods you can use to soundproof a stud wall, ranging from creating a room inside a room (this is meant to be the most effective method of soundproofing however it reduces the space inside your room so isn’t desirable for many people) to using soundproof paint or soundproof wallpaper (both of these are not particularly useful except for very low level noise) or simple whacking on some soundproofing panels and leaving it at that. Our guide to turning your stud walls from echo chambers into impenetrable sound barriers won’t make your room a foot smaller but it is far more effective than just doing the bear minimum. Rockwool Safe & Sound – make sure you measure up your wall and get enough insulation to cover it. Strip down your wall and remove the plasterboards on one side of the wall to allow access to the inside of the wall. Separate electrical sockets so that there is no more than one mounted per joist. Often adjacent rooms will have electrical sockets that share the same stud, electrical sockets create small openings in your walls so if you have sockets from different rooms sharing a joist then vibrations and sound will very easily carry through your wall. Fixing this is important before you move onto the next steps. Seal all openings in the wall with acoustic sealant. This includes every single opening your can find such as light switches, electrical sockets and radiator pipes. Add insulation to the walls – this is the fun bit! We recommend using Rockwool insulation as it is rock based so is extremely fire retardant (it can withstand temperatures of over 1000°C!) 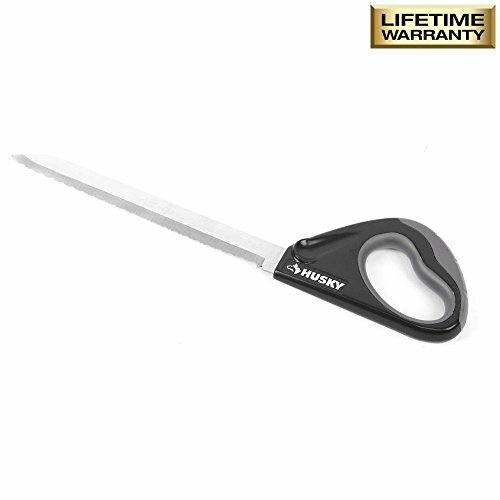 and can be easily cut to fit around electrical outlets using an insulation saw. Try and get your rockwool fitting as neatly as possible however don’t pack it in as this will compress the air pockets inside it making it less effective at soundproofing. Rockwool will prevent sound from echoing within your walls and creating the drum effect. Install your resilient channels, this should be nailed across the studs in your wall. Screw your drywall into the resilient channels ensuring that none of the screws or nails make contact with the wall studs, they should only make contact with the resilient channel itself. This will cause the sound energy to be more quickly dissipated and will significantly reduce the amount of sound that gets through your wall. If you wanted to go the extra mile you could replace your old plasterboard with acoustic grade plasterboard on both sides of the stud wall. Acoustic grade plasterboard has a much higher density than standard plasterboard and therefore greater mass to block sound with. If you have a very serious noise problem and are looking to make your wall as soundproof as possible there is another step you can take..
Add a layer of soundproofing board. Soundproofing boards add much-needed mass to your wall. There are various manufacturers who construct their boards in different ways but as a general rule they will be made up primarily of high-density rubber with a drywall side to them. Make sure that when you screw them to your wall the seams do not line up with the seams of your plasterboard, this will help further minimise sound transfer. When installing the boards leave a small gap of 3-5mm around the edge so that they do not touch the floor or walls, this will help minimise sideways vibration. Soundboards are very heavy so handle them with care and get help moving them! Decorate, refit the skirting board and enjoy your newfound peace and quiet! If your internal wall has an air vent in it this can be a big sound leak, it’s no good soundproofing your entire wall only to have all the sound continue to leak through the air vent, so check out this article for some tips on how to soundproof an air vent. Brick walls will typically be the external wall on your house, your may share a brick wall with a noisy neighbour (these are also known as party walls as they are shared between two parties). Soundproofing your external brick walls can turn an awful living situation into a comfortable one where you can sleep peacefully at night. Brick walls present a different challenge to stud walls. They can often be far easier to soundproof as there is much less you can do with them. The easiest way to soundproof a party wall is to install soundproofing panels. Soundproofing panels work by reducing vibrations through your wall, they are typically between 25mm to 40mm thick they do a great job of absorbing all the vibrations that solid walls are sometimes all too good at transmitting! Depending on the panels you buy they will come in sizes of around 1m x 1m. Simply buy enough to cover your problem wall. Screw them into place (you will have to cut the panels at the edge of the wall to fit) and then decorate over them and you’re good to go! If the reason for your soundproofing project is that you are building yourself a recording studio or a home cinema then creating a room with minimal sound distortion, vibration and echo is crucial. Simply soundproofing your walls isn’t enough as sound will easily bounce off them straight back into your microphone making your recording sound cheap and echoey or reducing the perceived quality of the audio of the film you are watching. 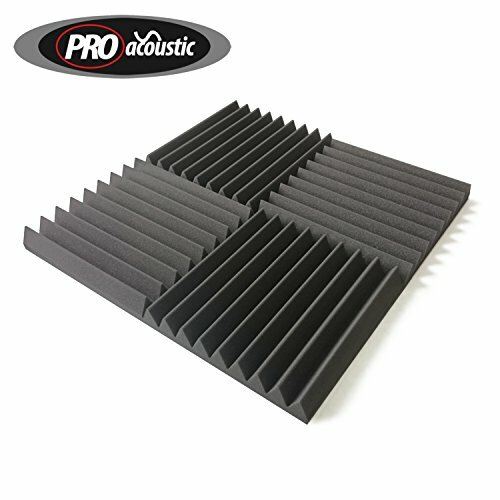 To build a room which allows for optimal recording conditions you must clad the completed wall with acoustic foam wedge tiles. These absorb sound rather than allowing it to bounce around the room, this will give your studio the professional sounding edge that you need. Acoustic foam will also reduce the amount of sound that escapes from a room too. Carefully measure your wall and ceiling. For the best results acoustic foam should be installed on the ceiling and every wall in your room. This is because sound will bounce off everything so the more surface area you can cover with acoustic foam the better your room will be at absorbing sound and reducing echo. Fit cardboard panels on your wall to attach the foam to. This will prevent you from damaging the walls if you decide to take the foam down in the future and because acoustic foam is so light cardboard will be more than strong enough to hold it in place. Measure and cut out the cardboard so that it will fit the room. Use plenty of foam tack to spray the cardboard and stick the acoustic foam to it. Don’t be afraid to use plenty of tack, you don’t want the foam panels falling off and they are only attached to cardboard so it won’t damage your walls if you decide to remove them. Fix your panels to the wall using pin nails (small nails will do less damage to the wall and will easily hold the lightweight panels up). Put your feet up and enjoy recording music or watching a film in your new acoustically engineered room!